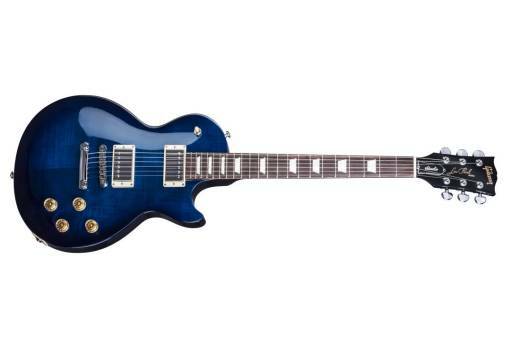 Lighter than ever, the 2017 Les Paul Studio Plus T benefits from Gibson's new Ultra-Modern weight relief that offers endless sustain and hours of comfortable playing, while its slim-taper neck profile is ideal for fast yet comfortable playing and its "Plus" figured maple top adds beauty. A combination of 490R and 498T humbuckers provides genuine Gibson tones with a hint of modern performance and aggression, wired to comprehensive controls and coil splitting for outstanding sonic versatility. This versatile performer is delivered in a classic Gibson hardshell case, along with a premium leather strap, a Gibson multi-tool, and a polishing cloth. "Plus" grade Figured maple top on mahogany body with Ultra-Modern weight relief. 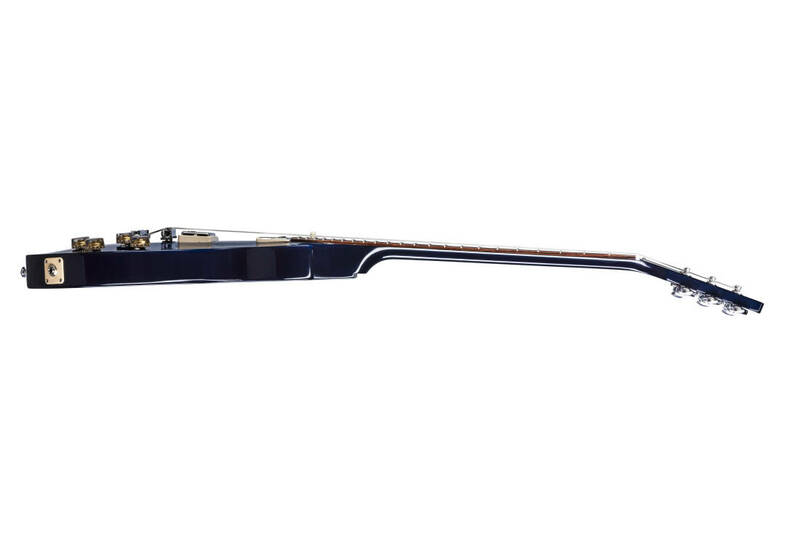 Mahogany neck with slim-taper profile, and one-piece rosewood fingerboard with 22 polished frets. Acrylic trapezoid inlays. Tektoid nut. 490R and 498T humbuckers. 2 volumes, 2 tones, 1 toggles switch. Independent coil tapping per pickup. Chrome aluminum TOM and aluminum Stop Bar. Speed knobs. Grover kidney tuners. Hardshell Gibson case with Premium leather strap, Gibson multi-tool and polishing cloth. • Neck width: 1.695 in. 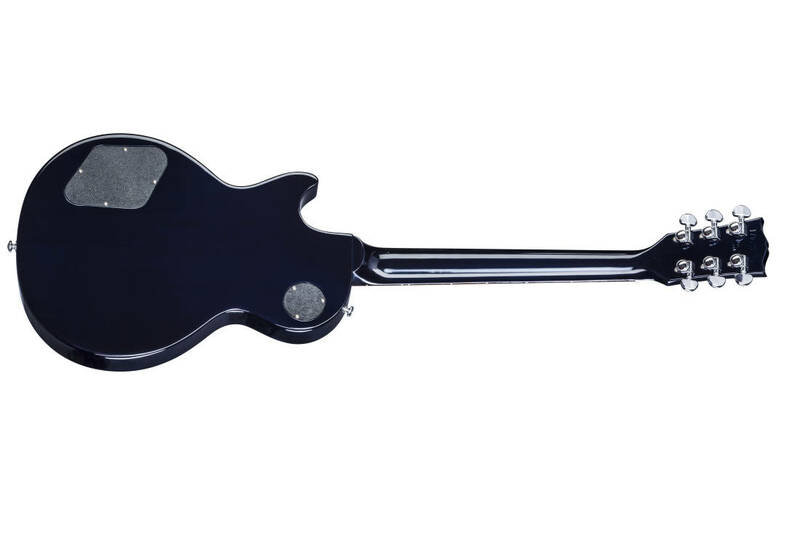 • Scale length: 24.75 in.